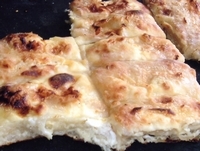 Štrukli (or Zagorski štrukli) is a traditional Croatian dish served in most household across Zagorje and Zagreb. 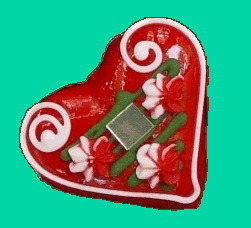 There are two types of Štrukli, one is called Kuhani Štrukli (boiled Štrukli) the other is called Peceni Štrukli (baked Štrukli) or simply Štrukli. Either way Štrukli is cook the preparations are the same. A pasty is rolled out flat and very thin to cover a tables top. A mixture of cottage cheese with eggs, sour cream and salt are spread thinly across the pastry. Then the pastry is rolled lengthways from both sides into two joined rolls, and finally cut into 10-20cm lengths. For Peceni Štrukli these lengths are placed into a baking tray, generously covered in clotted cream and baked for roughly 45 minutes until slightly brown on top. For Kuhani Štrukli water is boiled and the Štrukli pieces are placed into the pot. Onion and parsley are fried until slightly brown and poured into the Kuhani Štrukli. The Štrukli is then boiled for roughly 20 minutes.